You can find almost any item of clothing with corset details these days. If you are interested in the look but aren’t ready to dive in, you can dip your toes in the water by investing in accessories and shoes that draw inspiration from the style. The trick is finding the footwear that compliments your own individual look and of course there are some rules to follow when wearing the corset style so we don’t end up looking a trussed up Christmas turkey. Rule #1 – Don’t top to toe it. Choose one piece and work with that. Rule #3 – With your shoes, try placing the bow at the back. This will show off the shape of your ankle and will also negate the dreaded ‘cankle’ which is the last thing any of us want. Rule #4 – Pick a style that suits you. Don’t forget, this is a trend to have fun with. Here are some of our favourite lace up options at FSW Shoes. Get the sporty look this winter with a pair of white sneakers. Officially on trend, you can wear them with any outfit. Sneakers offer style and comfort that is second to none. Velvet clothing has been on trend for the last couple of years and now you can rock this luxurious material on your feet. Pair with velvet accessories for a super chic look. Get out of those ballet flats and into a pair of loafers this winter. The loafer offers a modernised sophisticated look to any outfit and provides greater support and comfort. Like a sock and a boot combined. These were big last year and if you still have a pair, it’s time to get them out again. If not, you should get on the band wagon. The sock boot offers great comfort and can be dressed up or down. Touches of the western theme are on trend this autumn/winter with a modernised look. Get this chic casual look when you pair your boots with skinny leg jeans and an over-sized jumper. Over the knee (OTK) boots are by far the must have item of the season. Available in various materials and heel heights, the OTK boot can be dressed down with jeans and a cardigan for a casual day look or dressed up with mini skirt or dress for a night out on the town. 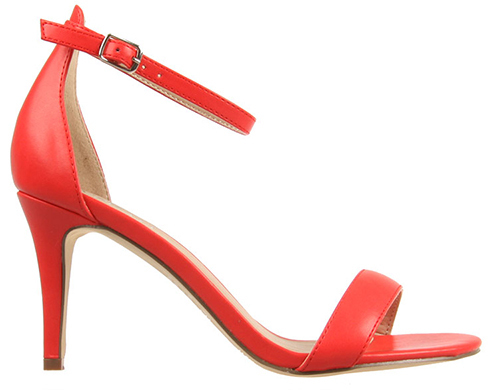 Heels with straps from high to low are very popular for spring racing. There are varieties to choose from. It’s all about the height of the heel and importantly the right shape and fit. But since it is a lace up, it is easier to adjust. So when you’re wearing a short dress from knees high, try heels the lace up heels and make sure you can properly strut in style. For those who want to hide your toes! Try pointed toe shoes. Try it with with a pencil skirt. 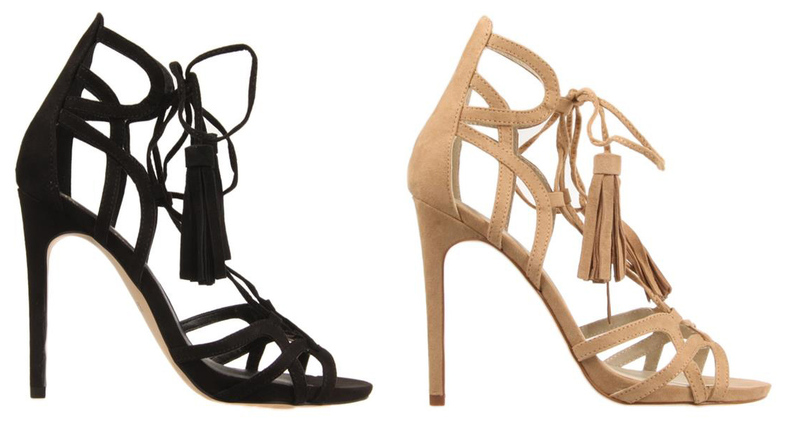 Here are several spring and summer options with pointed toes, with laces and sleek cut-out design. Be Bold! When you’re tired or wearing the norm, be daring! Go with a vibrant colour! The great thing about these colours is that you can match with a white or black dress or a monochrome style dress. SURVIVING TOOLS at the races! These little items will help you survive in your heels the whole day. 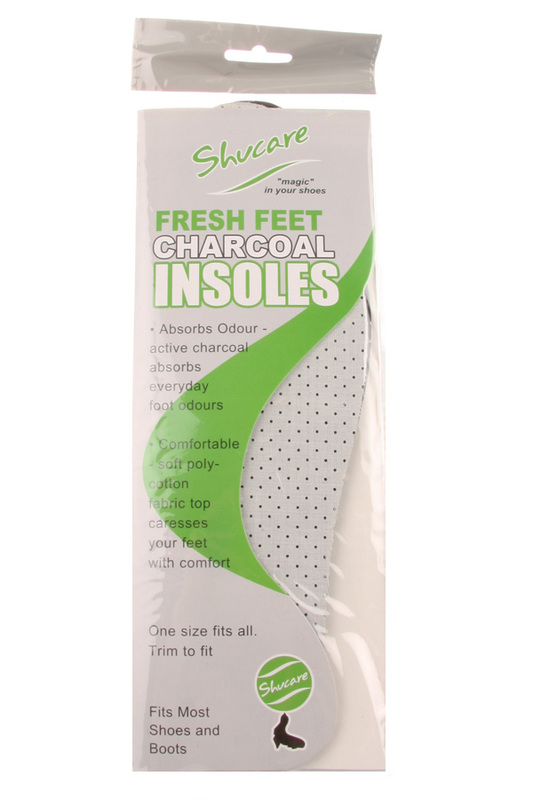 Shucare Insoles, $4.99: These type of insoles can be shaped to your size and shape of your foot. It will give you the extra comfort and sole support. Anti-slip heel Grip, $7.99 : Great for filling in the gap at the back of your foot. It grips comfortably at the heel and prevents from slipping, chaffing and blisters. Shucare Gel Soft Steps, $8.99: When you’re standing all day in your heels, this insert gel support will help prevent getting that pain in the balls of your feet. Practice perfect: Wear and practice in your new pair of shoes before your event, just enough time to get comfortable in walking in them and time to stretch your shoes. Prep your feet: The night before the big event, rub some lotion or Vaseline on your feet before going to bed. Cover your feet with a pair of socks. This will moisturize your skin. It will assist from chafing when wearing your shoes the next day.